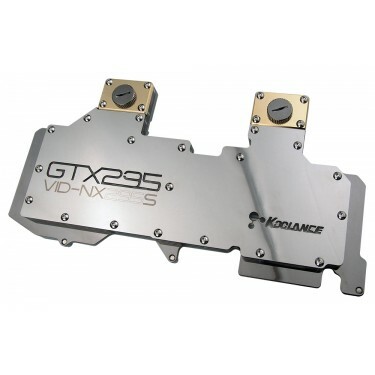 The new Koolance VID-NX295S is a combined GPU and memory cooler for high-end water cooling of NVIDIA GeForce GTX 295 cards (single video board models) in single or multi video configurations. 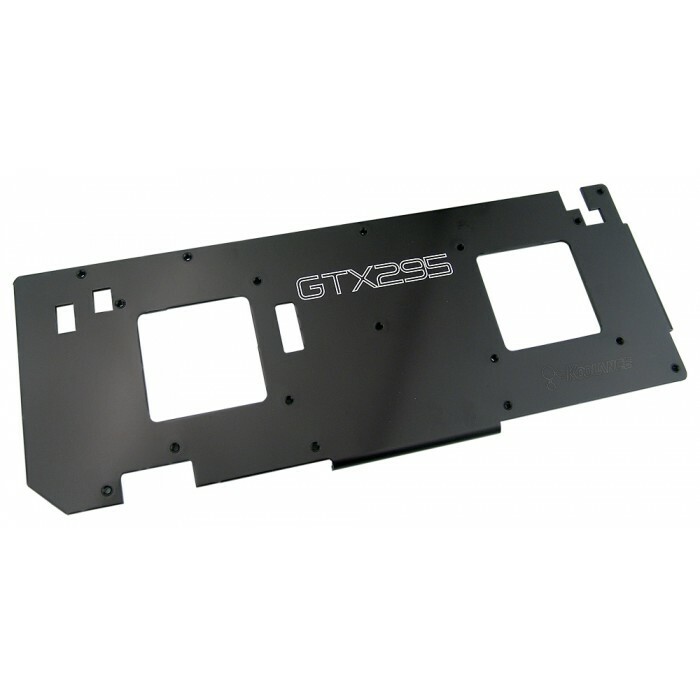 It combines a solid copper cold plate, nickel plating, and a thick acrylic jacket. 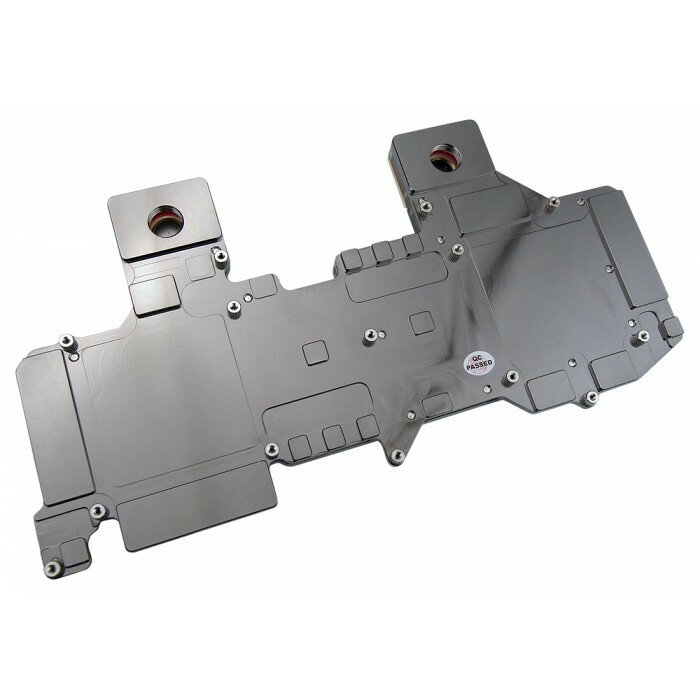 A rear full coverage aluminum heat sink plate is included. The VID-NX295S targets all primary heat-producing regions of the GTX 295, including the voltage regulators. Fitting threading is standard G 1/4 BSPP. For multiple card configurations, video connectors are also available.